I certainly won’t deny myself a freshly baked cookie or a chocolate truffle on Valentine’s Day. But the last thing I want to do is have the arrival of February 14th mean the end of the healthy start my new year was off to. So instead of overdosing on candy in the name of holiday fun, this year I wanted to create a couple of festive recipes without so much sugar. And as it turns out, that heart shaped cookie cutter is good for a lot more than just baked goods! Lay your fruit slices flat on a cutting board. Then, press your cookie cutter down firmly and wiggle it around, making sure it slices all the way through. Peel the rind and the rest of the fruit away until all you have left is a piece of citrus shaped like a heart in the middle of your cookie cutter. 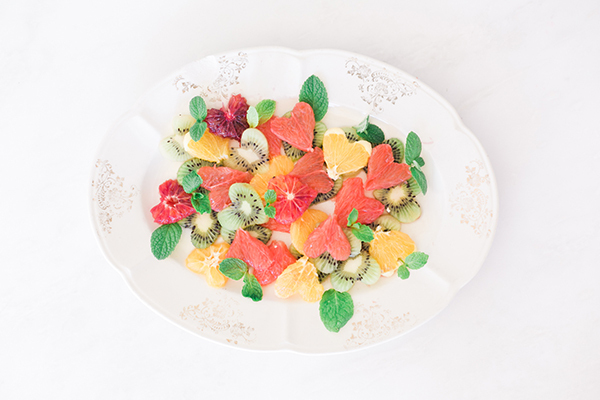 Arrange your heart shaped fruit slices on the plate, alternating between the different varieties. 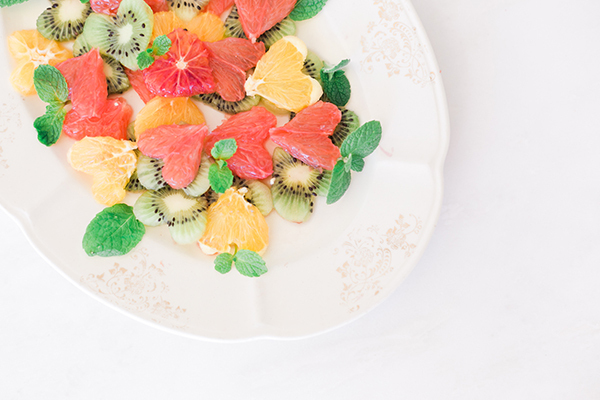 Garnish with mint leaves, and enjoy! To make the balsamic reduction, stir the balsamic vinegar and honey together in a small saucepan, and bring to a boil. Reduce the heat to low, and then simmer for about 10 minutes or until the mixture has reduced to 1/3 cup. Allow it to cool to room temperature before using. 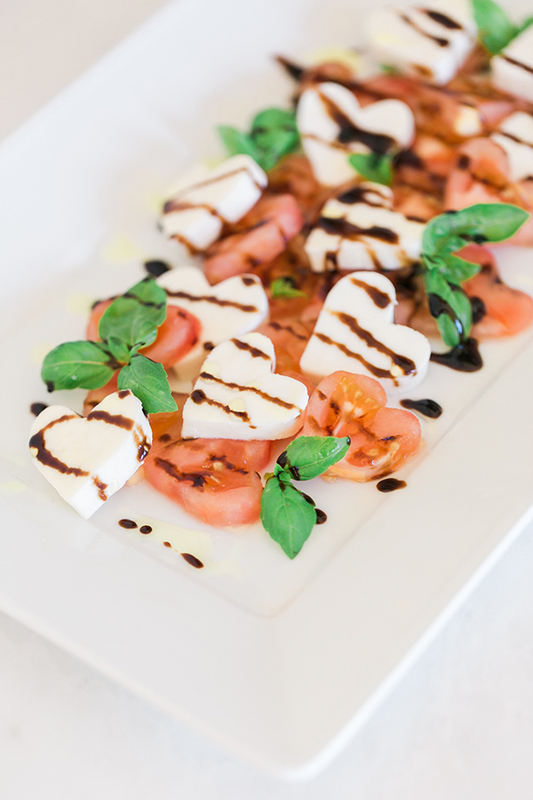 Using the cookie cutter, cut the tomato and mozzarella slices into hearts. (Save the scraps to eat together in a bowl a caprese salad later!) Layer the hearts on the plate, alternating between the two. Garnish with basil leaves. 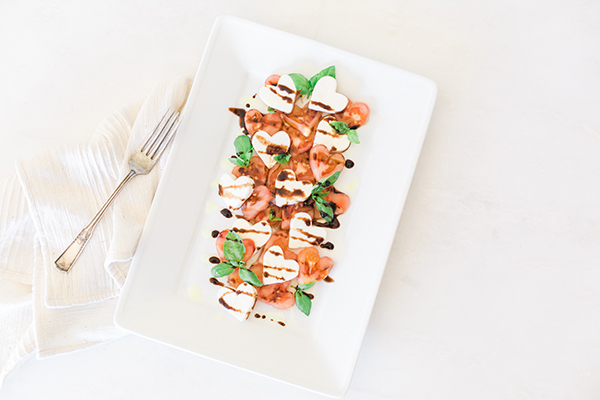 Drizzle the salad with the balsamic reduction before serving. 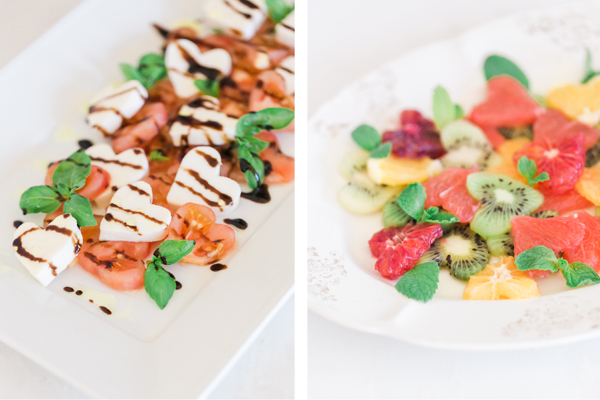 How delicious do these two salads look? Do you have any other ideas for heart-shaped Valentine’s Day dishes? Share your ideas in the comments.